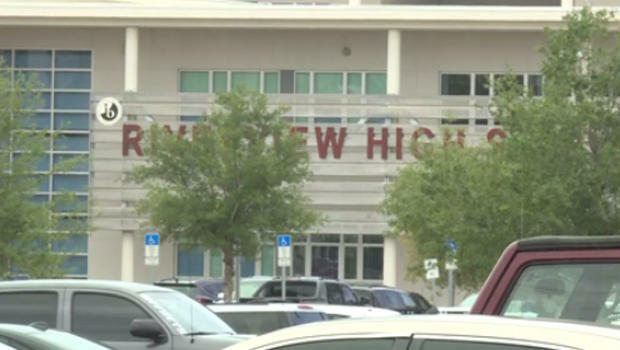 SARASOTA, Fla. - The family of a teen whose "promposal" caused a social media uproar among people who called it racist, and the teen himself, have issued an apology, reports CBS Tampa affiliate WTSP-TV. "While our son has apologized himself, on behalf of our family, we wish to also express our most sincere apologies for the terrible words used in his 'promposal,"' the family said in a statement. "We love our son dearly and know that he is a far better person than reflected in this reckless behavior. That said, as loving parents, we also feel compelled to share our own deep regret and serious concern about his actions." The Riverview High School student posted a picture of himself on Snapchat holding a poster that read "If I was black I'd be picking cotton, but I'm white so I'm picking u 4 prom?" Social media users erupted in outrage over the weekend, calling the picture racist and "not OK," though one particular Twitter thread included people who said they didn't see what was wrong and thought it was funny. Senior Erin Williams, who didn't think it was funny, posted a picture of the student's promposal on Facebook. "This is not OK," she told WTSP. "This is hate speech and should not be expressed in school. We already have enough with guns in school and now you want to bring racism into it?" "I want to sincerely apologize if I have offended anyone with the picture going around. That was not my intention. Anyone who knows me or ***** [name redacted] knows that that's not how we truly feel. It was a completely joke and it went too far. After reading the texts and Snapchat's I truly see how I have offended people and I'm sorry." The student will not attend any school activities, including prom or graduation, his family said. "As a family, we truly recognize this incident is a very difficult but important life lesson and pledge to do all we can to ensure that nothing like this ever happens again," the statement said. "Certainly, we hope that all of the people and communities who were hurt and offended will forgive our son and family."